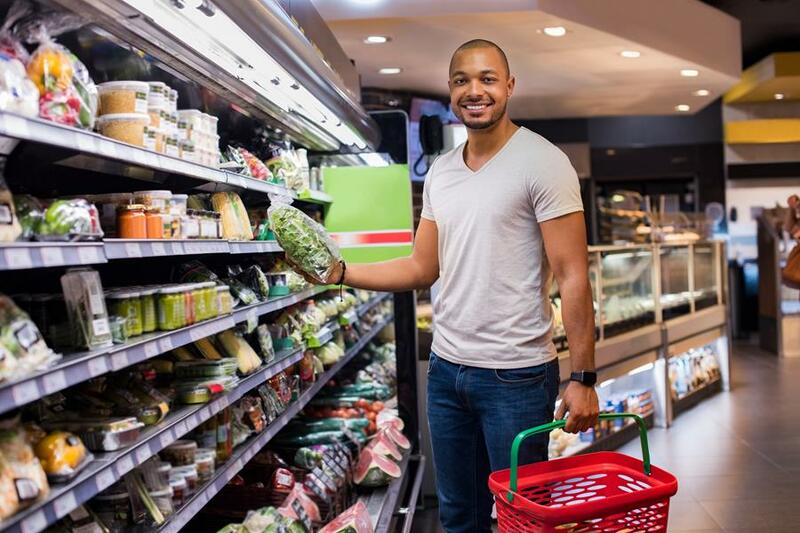 Research shows that biking for transportation and recreation is linked to myriad health benefits, including lower rates of obesity, high blood pressure, stroke and cancer. 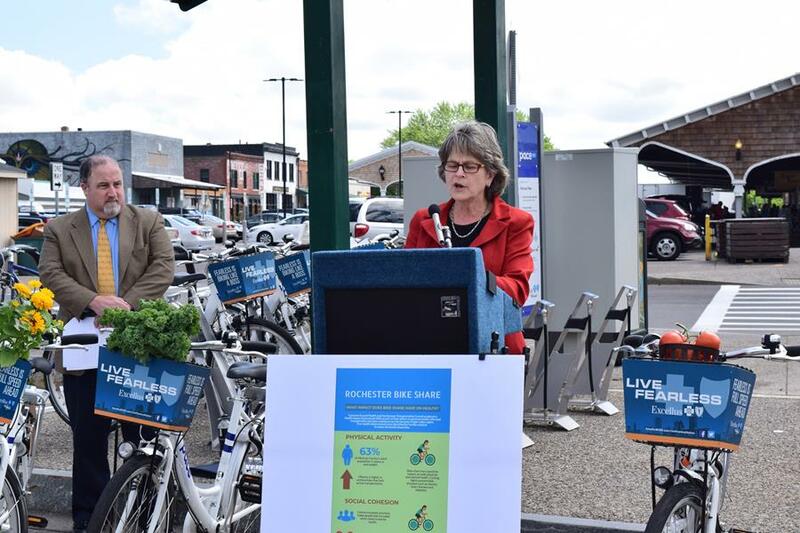 To tap into this health potential, bike share stations should be located close to grocery stores, parks and other community resources, and neighborhoods with poorer health should be given priority when siting new stations. These are two recommendations in a new Health Impact Assessment from Common Ground Health and the Genesee Transportation Council (GTC). “We’re on the leading edge of using Health Impact Assessments in transportation planning,” said GTC Executive Director James Stack. 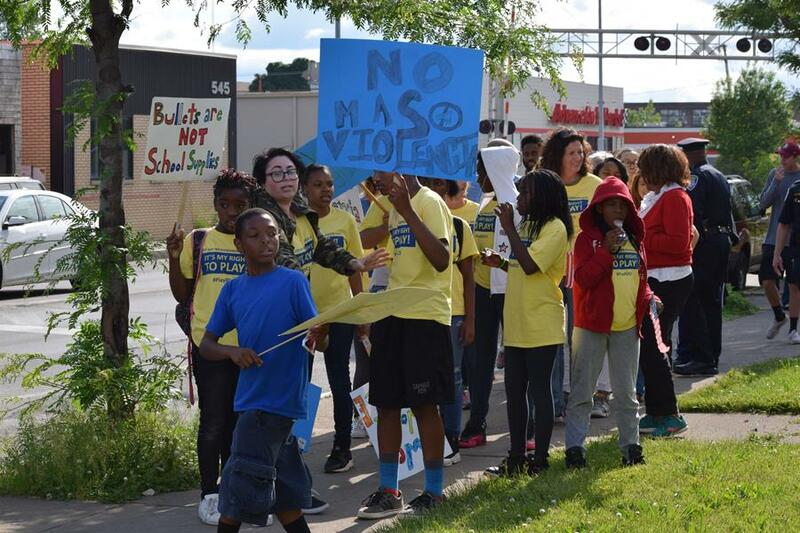 Kudos to the kids with Cameron Community Ministries, who organized a march for neighborhood peace and for safe and accessible play spaces on June 6. The sixth annual Peace Walk began as a response to a string of shootings that prevented kids from being able to play outside. This year, marchers paused at the home of a young boy struck and killed while playing outside his Lyell Avenue home. “I am so proud of the Cameron kids for taking the lead to become agents of change in their own community,” said Jenn Beideman, advocacy manager for Common Ground Health. Read Spectrum's news story here and learn more. Good referral management is an essential part of well-coordinated care and transitions. Learn more in a webinar at 12:15 p.m. June 28 with our Practice Transformation team. More than 30 sites across the city of Rochester have signed on to participate in Healthi Kids' third annual PlayROCs Your Neighborhood, which highlights the possibility of play. Volunteers are needed for the event; email hannah.shippee@commongroundhealth.org to sign up.